The Boston Red Sox have placed second baseman Dustin Pedroia on the 10-day disabled list with a sprained wrist and activated third baseman Pablo Sandoval from the DL. 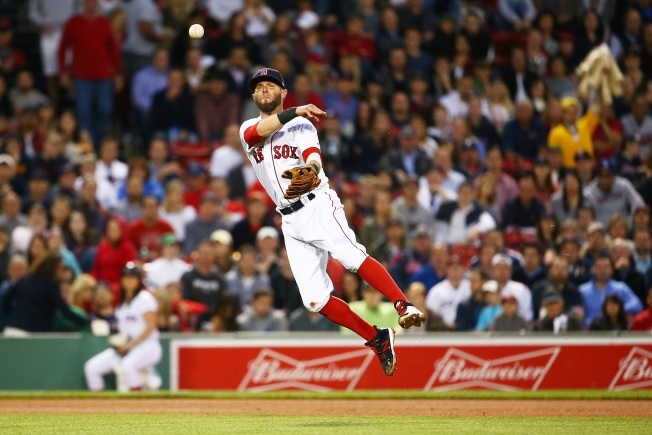 Pedroia sprained his left wrist when he tumbled over White Sox first baseman Jose Abreu in Chicago on Monday. He returned to Boston for tests. He missed three games earlier this season after being spiked in the leg. Sandoval was placed on the DL on April 25 with a sprained right knee and made seven rehab appearances at Triple-A Pawtucket. He was batting .213 with three homers in 17 games before then.